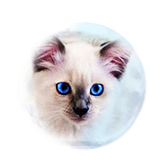 Azureys Cats was started with the focus and emphasis of breeding, improving and preserving the beautiful and unique Old-Style Balinese cat breed. We are a family of breeders who reside in Rutherford, NJ. A beautiful suburban town only 20 minutes to/from New York City and within distance of New York State, Pennsylvania, and surrounding Tri-State areas. We are 4-5 hours to/from Massachusetts, Washington D.C. and Virginia areas. Due to our breeding program being a family hobby with a Golden retriever and children; our kittens are always well tended, loved and go home with the best personalities, and demeanors. We first became interested in the Old-Style Balinese breed years ago when we realized that a real long-haired variety of the Siamese cat breed existed. We had always loved the Siamese cat breed in terms of it's personality and appearance, but the Balinese cat is really much more than that of the Siamese. With their high intelligence, dog-like personality, beautiful and exotic appearance, the Balinese cat breed posesses these many unique qualities and more. They are also notably one of the very few cat breeds that are Genetically Hypoallergenic; great for people prone to feline allergies. When we realized these outstanding qualities of the Balinese cat breed, and the situations that have affected its success and popularity; such as breed standard confusion (Old-Style, modern, etc. ), and the fact that these cats have been much overshadowed by other "pure-bred" cat breeds like Rag-dolls, Himalayans, and other cat breeds, we took upon the responsibility of breeding these wonderfull cats and in preserving their purity. Our goal as breeders is to present these cats as one of the best pets a human can have, and that it can indeed become the number 1 household pet. Though at times we might breed Siamese cats or Variant-Short-haired Balinese cats; we mainly concentrate in the long-haired Siamese cat breed; the Balinese cat breed for the above reasons. 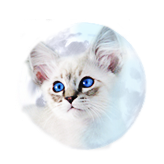 We will continue in doing so as long as we continue our Balinese cat breeding program. 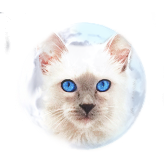 Through our goal of starting an Old-Style Balinese cat program, we have been very blessed in being able to acquire wisdom, and very unique breeding lines with the help of other Balinese mentors and breeders, so to produce Balinese cats of the highest quality in terms of health, personality, and appearance. All our cats are imported from other States, and abroad and from rare breeding stock not commonly available to other Balinese breeders. Please visit our Breeding program page for more information on our breeding program and goals. We breed all four traditional colors: seal, chocolate, blue, and lilac points, as well as the rare "wild cat" points, also known as Lynx points. We as well breed rarer color points available to the Balinese/Siamese cat breed such as Red or Flame points, Tortie's, Creams, and Ivory points. All our kittens and family cats are raised afoot and treated as if they were our own family members, because they are a part of our family. We believe living creatures should be respected as well as treated with love. We give much care in entrusting our kittens to responsible and loving homes that will continue to care and love for these kittens. To do this, we evaluate the individuals and homes our kittens will go to and it begins with our contact questionaire. 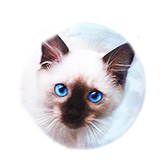 We encourage you to take our Bali Quiz prior to submitting a contact questionnaire, so that you may be aware of information about the Balinese cat breed beforehand if you are new to discovering this breed. Our contact form will help you in selecting what type of kitten(s) you are looking for to be an addition to your family. Please do not hesitate to fill one out! 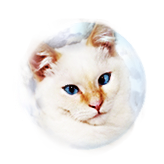 We thank you for taking the time in visiting our website, please stay tuned with us and once more, welcome to Azureys Cats!